Twenty-five. That’s how many goals junior attack Chalane Morrison has scored alone thus far in the University of Indianapolis women’s lacrosse inaugural season. 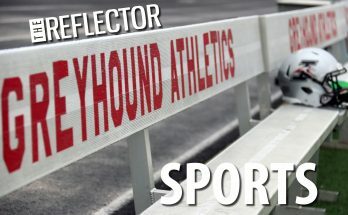 After losing to Great Lakes Intercollegiate Athletic Conference opponent Tiffin University on Sunday, April 10, and beating the University of Findlay on Friday, April 8 in conference play, Morrison and the Hounds hope to keep seeing that total increase. Despite Morrison opening up the scoring against Tiffin, the Greyhounds were out shot 38-16 in the 15-5 loss. Morrison scored UIndy’s first four goals, and freshman attack Hana Priddy scored the last goal. The Hounds earned two of the 22 draw controls during the game. Prior to falling to Tiffin, the Hounds were on a three game win streak after beating Findlay 10-8. Sophomore attack Anna Rulapaugh started the scoring for UIndy with two goals in two minutes, she later scored her third goal of the game at 6:03 in the second half to earn finish the game with a hat trick. Junior midfield Erika Mackenzie also had a hat trick in UIndy’s win. In goal for the Hounds was freshman goalie Irene Carlquist who made nine stops. 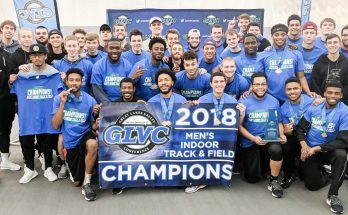 The Greyhounds traveled to North Canton, Ohio, to take on the Walsh Cavaliers on Sunday, April 3. Mackenzie and Morrison each scored a goal within the opening three minutes of the game, giving UIndy a 2-0 lead. The momentum continued as the Greyhounds claimed nine more goals in the first half, making the score 11-5 as they closed in on halftime. The scoring continued in the second half with the Hounds producing 10 more goals before the final horn, ending the game in a 21-7 victory. Rulapaugh and Mackenzie led the Hounds in scoring with five goals each. Prior to the Walsh victory, the Greyhounds faced off on April 1 against Lake Erie College on April 1, where Head Women’s Lacrosse Coach Jillian Howley coached for three years before coming to UIndy. As in the Walsh game, UIndy came out and scored first, with the first goal by freshman midfield Erica Bushold at 24:37. Bushold’s goal was the beginning of the Greyhounds’ 16-goal game. Morrison credited the team’s growing confidence in the experience of traveling for several weeks as one of the reasons they could keep up the energy. The Hounds grabbed seven goals in the first half against Lake Erie, making it a 7-2 game at the half. The Storm scored the first goal of the second half and attempted to catch back up, bringing the score to 9-6 with eight minutes left. UIndy responded and scored seven goals to completely shut out Lake Erie in the last eight minutes, closing the game with a final score of 16-6. Morrison and Rulapaugh each chalked up five goals in the game. The two back-to-back victories mark the second time this season that the Greyhounds have won consecutive games. Howley believes that the victories are due to the transfers of Morrison, Mackenzie and Rulapaugh from Pfeiffer University and the connections the team has made. Morrison also believes that she and her fellow transfer teammates have added to the team in terms of leadership rolls. The Greyhounds will play two more weekends at home. Howley believes that after several setbacks on the road, including a flat tire earlier in the season in Florida and the snow delay in the game against Walsh, the team is ready to play at Key Stadium. The Greyhounds will face the Walsh University Cavaliers again, this time at home in Key Stadium on Friday, April 15. The game is set to start at 6 p.m.